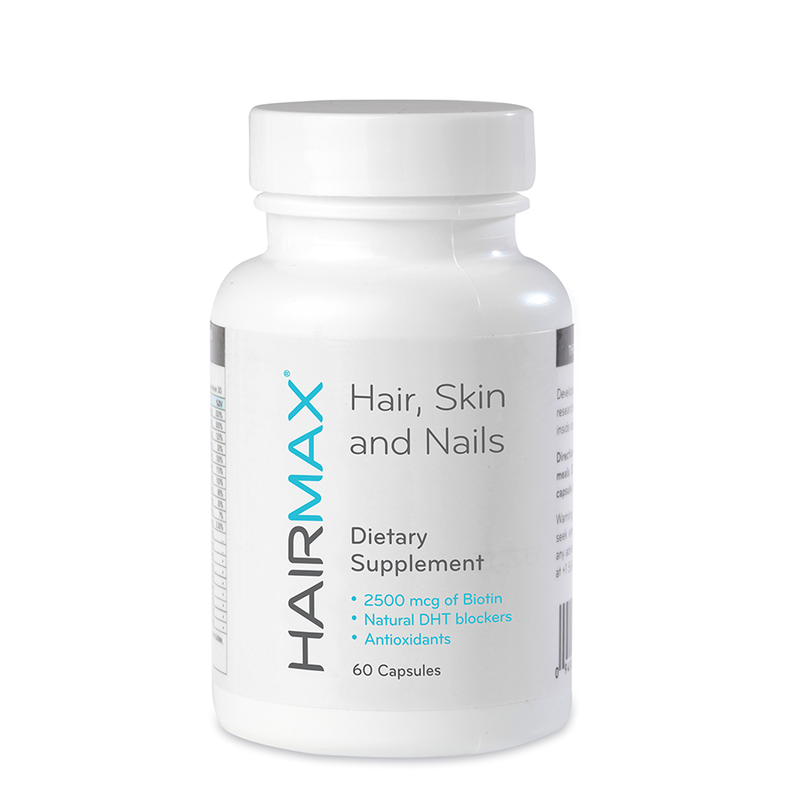 HairMax Essential Dietary Supplement for men and women promotes shinier, thicker hair, strengthens nails and contributes to healthy looking skin. Blended with clinically proven hair strengtheners to complement the laser hair loss treatment provided by the HairMax LaserComb. 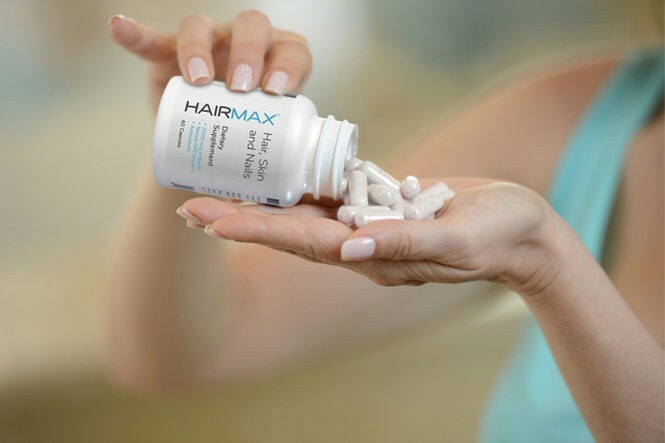 HairMax Essential Hair Dietary Supplements for men and women incorporates proven androgen blocking ingredients like beta sitosterol and saw palmetto. As male hair loss can often be the result of reduced blood flow to the scalp, our male prioprietary blend includes niacin to improve blood circulation to the hair bulb. 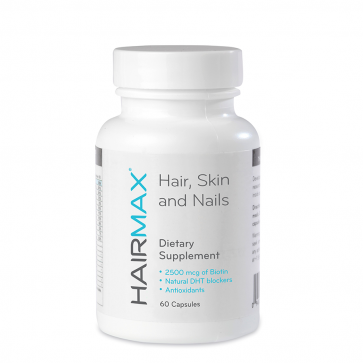 HairMax Dietary Supplements are formulated with the nutrients to help support healthy hair, nails and skin. 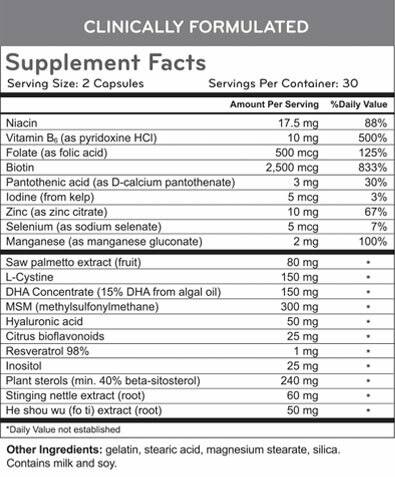 2500 mcg of Biotin per serving to help produce keratin, increase hair elasticity and help maintain hair health. 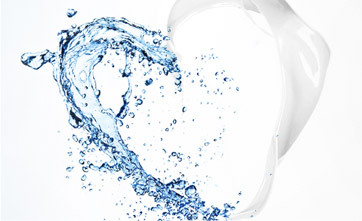 Niacin helps improve blood circulation to the hair bulb. Contains MSM (sulfur) for healthy collagen and keratin, which are essential to healthy hair growth. Please remember that treating hair loss is a slow process that requires persistence and patience. Any legitimate hair loss treatment will take between 6-12 months to begin working, and a full 2 years before optimal results are attained. So set your expectations accordingly. There may be shedding periods in between. Shedding is a natural part of any effective treatment regimen. 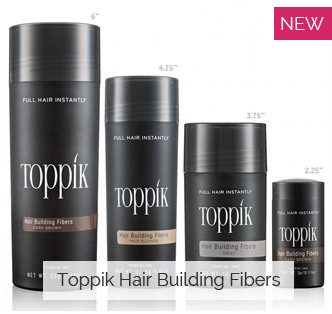 Existing hairs are ejected and new, healthier hairs are generated in their place. It does not always happen, but it should be expected. Especially any time you modify your treatment regimen. 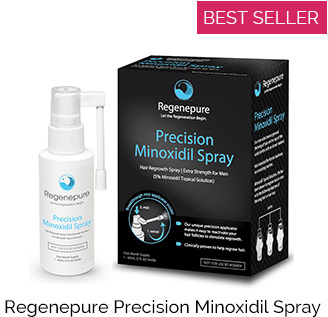 This is why starting small (with 1-3 core products) and waiting 6 months to a year before adding anything new, is an important part of treating hair loss effectively.